Sooner or later every politician has to take sides. Even the craftiest consensus-broker has to stick his or her neck out and ruffle some feathers once in a while. That’s the curse of politics. Damned if you do, damned if you don’t. It’s a strange fact that even the most thoughtfully constructed political legislation is routinely derided (often mercilessly) by someone, or some group, one hundred percent of the time. There’s no pleasing everyone. Ever. That’s a tough way to make a living. 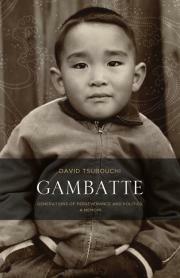 Gambatte is former Progressive Conservative MPP David Tsubouchi‘s political memoir. It also contains a significant family history that in large part reflects the prototypical Japanese Canadian ‘experience’ during the early part of the 20th century, through World War Two, and beyond. 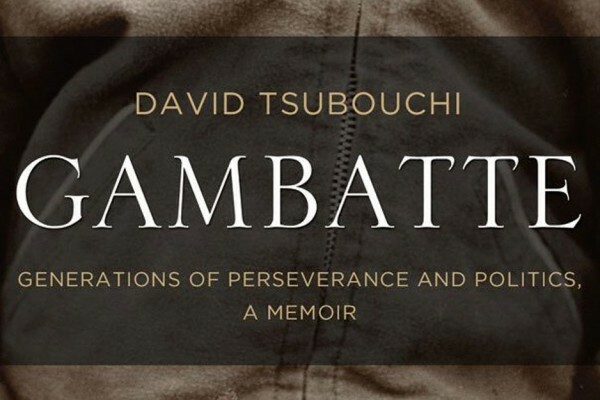 Tsubouchi’s story describes a family, stronger and brighter than ever, who have emerged as diamonds from the blast furnace of mid-century Canadian political upheaval, betrayal and discrimination. 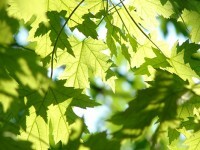 ‘Gambatte’ means perseverance, to do your best and never give up. It is a title well chosen. Tsubouchi’s personal history is a series of mountains summited. 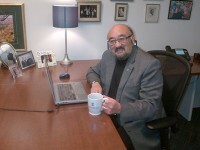 If you’re familiar with Tsubouchi’s name, you probably remember him as a point man in Michael Harris’s Ontario Progressive Conservative Common Sense Revolution. A trailblazer in Canadian politics, he was the first Canadian of Japanese descent elected both as a municipal politician, and MPP. 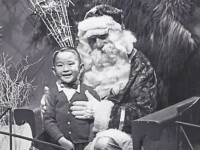 He was also the first Japanese Canadian to serve as a provincial cabinet minister (an honour he held as a rookie MPP and throughout his provincial career). But did you know that as a young man he was a formidable athlete and actor of some repute? There are a lot of names in the book. It’s safe to say that anyone who has come within shouting distance of Tsubouchi over the past 60 years has been enshrined (literally and literarily) in the pages. He has a lot of friends, a lot of associates, and a lot of people to thank. But far from simply a series of acknowledgments, the book is an interesting glimpse into the workings of an intelligent and driven individual, and a behind-the-scenes look at the obtuse realm (read: Twilight Zone) of Ontario provincial politics. Who knew that Question Period was a bizarre dance between inquisitor and respondent, with answers (if forthcoming at all) wrapped in candied boilerplate? (Well, maybe we did, but the extent of cellophane application is intriguing.) Or the false appearance of government ‘action’ and ‘dedication’ during midnight sittings? Tsubouchi exposes these and other formalized governmental game-playing in a frank and informative insider’s perspective that succeeds in a most important realm: entertainment. (It’s a good read.) From a distance we regard our politicians with equal helpings of disregard, suspicion and wonder. On closer examination we see that they range from the good, to the bad, to the ugly. Admitted entrance into the exclusive backstory of Tsubouchi’s personal life and political career, we see (as is all too often the case), a great many good deeds have not failed to go unpunished.